Frieda Loves Bread: Applesauce Chocolate Chip Cookies: Making Time for Kids and Cookies! 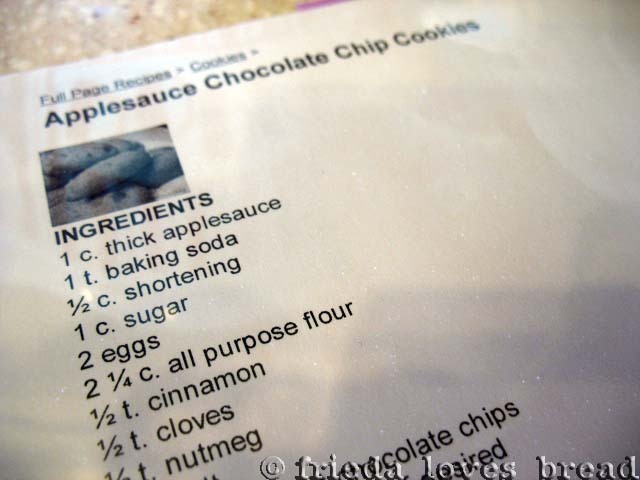 6 Applesauce Chocolate Chip Cookies: Making Time for Kids and Cookies! My kids are all grown up. *sniff* Fortunately, my hubby is a kid at heart! He suggested having some neighborhood kids over after school to bake some cookies. What a great idea! When he asked the kids what kind of cookie they wanted to bake, they jumped up and down and said, "Chocolate chip cookies!" and watched science in action! 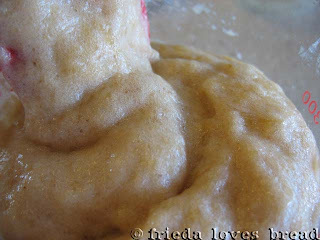 They loved how bubbly this applesauce gets! 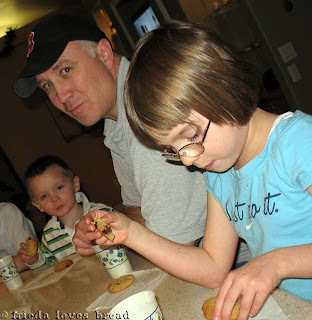 When the cookies came out of the oven they couldn't WAIT to try them! The cookies are done when the tops are dry and spring back when touched. The kids all thought dunking the cookies in milk was the BEST part! 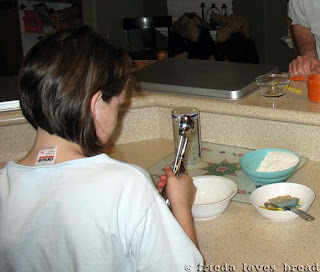 If you need other kid-friendly cooking/baking ideas, head on over to the Kids' Cooking Academy, where you will find daily tips, great recipes and how-to videos to inspire your family to get cooking together! Even better, each time you visit the Kids' Cooking Academy between now and 4-25-11, Frigidaire will donate $1 to Save the Children to help make sure that more children have access to healthy foods! Does this look good? Then grab some kids and make 'em! This is a recipe that can teach your child about reading, math (measuring), science and teamwork! Kids will love mixing the applesauce and soda to watch it "foam." They can also help with some mixing and scooping the cookie dough onto a prepared baking sheet. 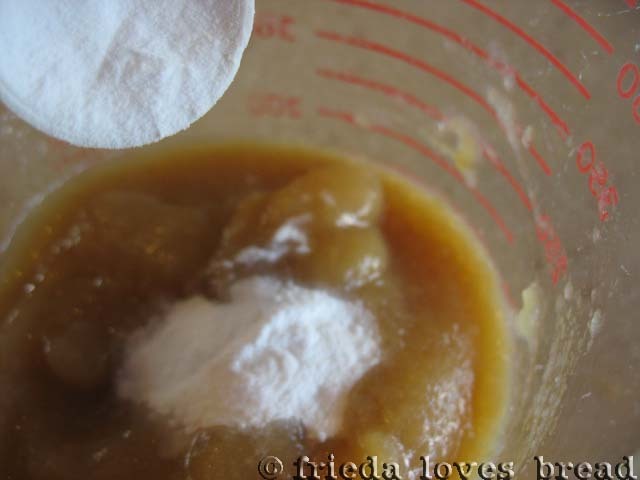 In a medium mixing bowl, combine applesauce and baking soda. Watch the bubbling begin! Set mixture aside. In a large mixing bowl, cream shortening and sugar. Crack eggs into a small plastic bowl. Add the eggs and to the creamed shortening and mix well. Add flour, spices, and chocolate chips. Mix thoroughly. Lightly grease a baking sheet, or use parchment paper or a silicone mat. 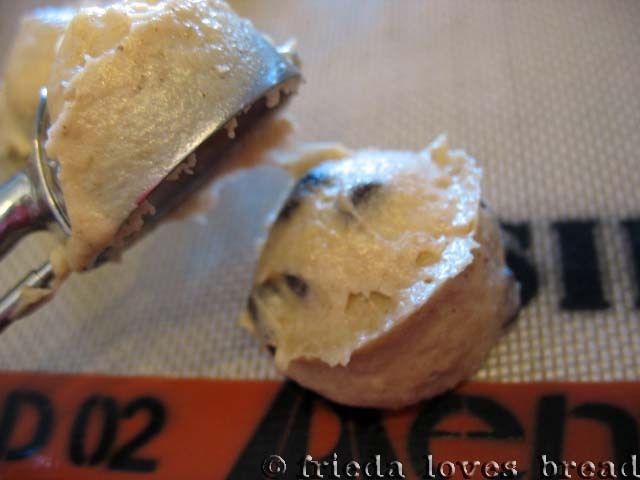 Use a medium (2 T.) cookie scoop and drop cookie dough mixture on prepared pans, 2" apart. 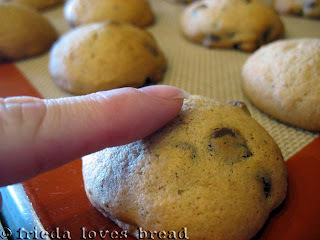 Bake in a preheated 400°F oven for 10-12 minutes or until tops are dry and when centers are touched, the cookie springs back. 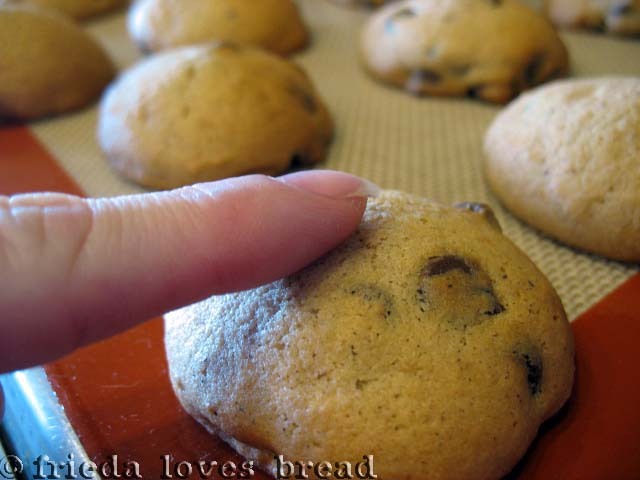 Allow cookies to cool completely on the baking sheet before eating. 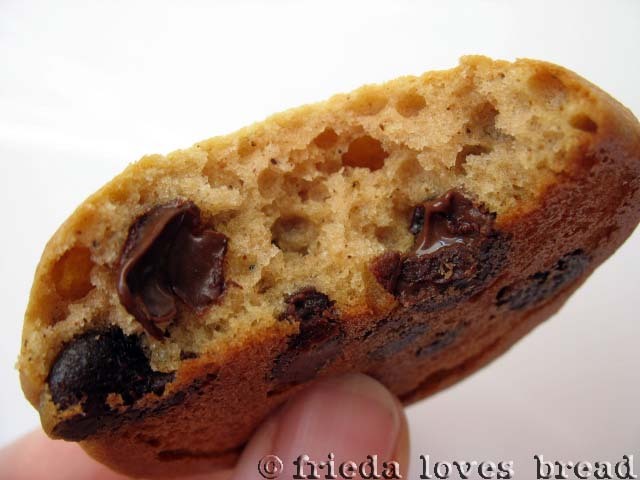 My mom used to make my grandma's recipe for apple chocolate chip cookies and I love them! I haven't made them in awhile . . . maybe I should! 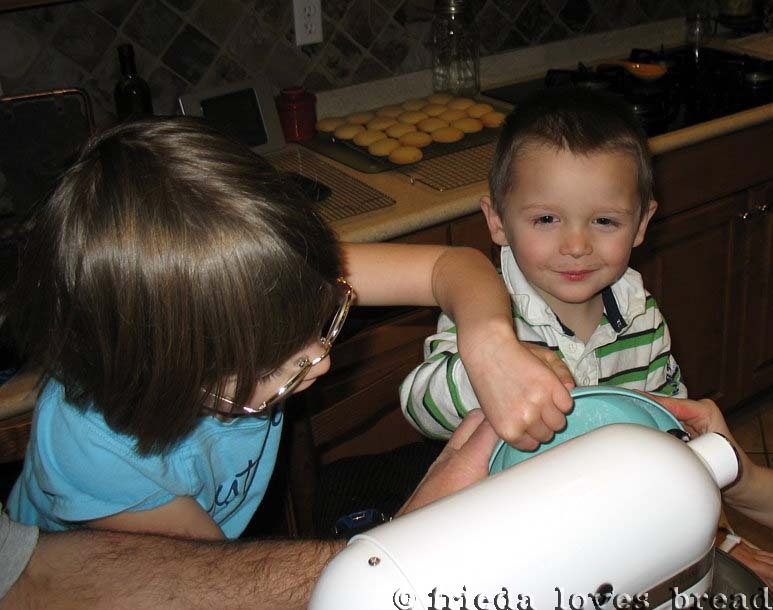 This recipe sounds delicious and it's so wonderful that your kids love to bake. 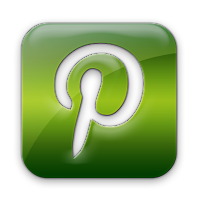 I'm starting a new linky on my blog called "Sweets for a Saturday" and I'd like to invite you to stop by this weekend to link this up. That look absolutely delicious! Can't wait to try some. I'm having the very first GIVEAWAY on my blog. 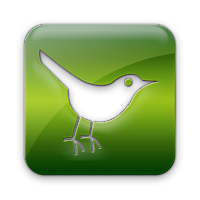 Please stop by to submit an entry. Good Luck. I'm seeing chocolate chip cookies everywhere today! 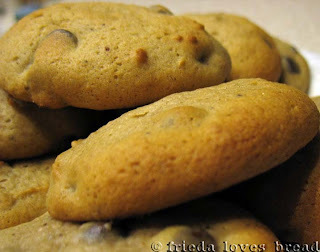 I must say however, yours are a definite bookmarked recipe to make as they look like cookies Grumpy would LOVE. 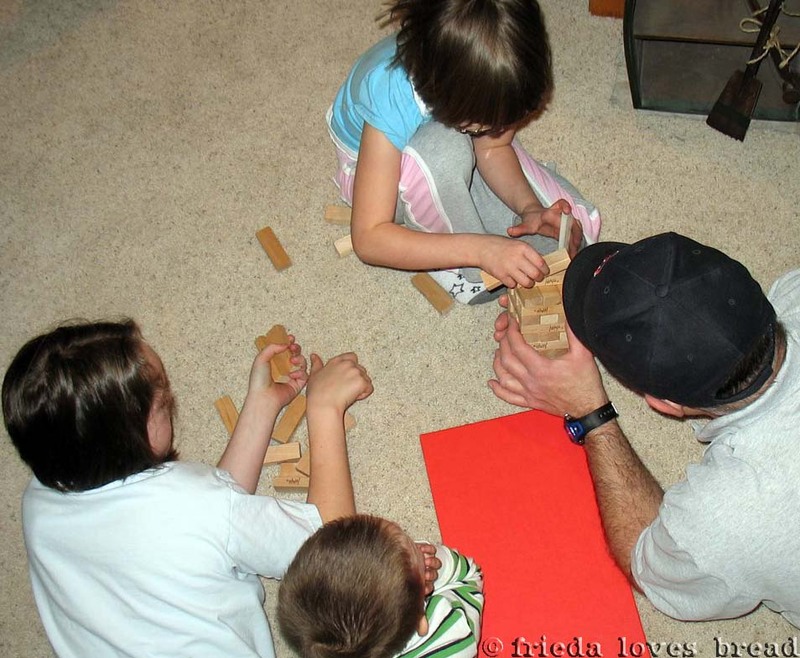 Thanks so much for linking up to my linky party. I appreciate the support. Hope to see you again next Saturday. Looks delicious. I've put them on my to-try list!